One of the most intriguing and creepy contemporary legends I have come across from Newfoundland is the story of The Webber - a terrifying, woods-dwelling creature with webbed hands, who loves to catch and devour children, campers, and canoodling teenagers. Like you would, if you lived in the bush and had hands like the Creature from the Black Lagoon. The Webber seems to be a largely west-coast legend, and several of its older origin stories place it around the Harmon Air Force Base in Stephenville, which operated between 1941 and 1966. The legend has migrated north and east, with versions found along the Great Northern Peninsula and Labrador, and with one outlying variant told about the Heart's Content Barrens area between Carbonear and Heart’s Content. The stories incorporate tropes found in other contemporary and urban legends like The Hook Man, but there are similarities between many of The Webber’s origin stories -- he is born with webbed hands (and sometimes feet) and then is either abandoned, lost in an accident, or murders his unfortunate parents. It then goes on to live in the wild, and terrorize (and/or eat) innocent passers-by. 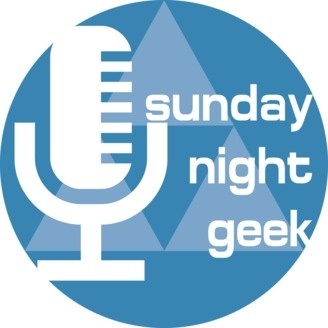 The Webber made a special guest appearance (stories of The Webber did, at least) on the Hallowe’en edition of the “Sunday Night Geek” podcast for Oct 30th. 2016. Folklorist John Bodner of Memorial University's Grenfell Campus stopped by the podcast to share some tales, and you can hear a fantastic archival version of the creature’s origin story at about the 20 minute mark. I’ve been collecting other Webber stories, and have condensed some of them below. If you know about The Webber, and have a different version, PLEASE let me know!! Send me a note at dale@dalejarvis.ca or post to social media with the hashtag #NLunexplained. The Webber was a man-like creature covered in hair who migrated between Nova Scotia and Newfoundland every seven years. The creature had webbed hands and feet which enabled it to swim to and from Newfoundland. An American couple were living on the base in Stephenville during WW2. They had a baby boy, and to their horror he was born with webbing between his fingers and toes. They decided to fly back to the States to have the webbing removed, but their plane crashed just outside of town and the parents were killed. The baby survived, and grew up to hunt children who go out wandering around the woods after nightfall. A family was involved in a car accident along the highway near Pasadena. It happened at night and the car went far enough into the woods that no one noticed it for a few days. A kid survived the crash, but a bunch of birds attacked him and injured his hands as he defended himself. He couldn't find the highway and went into the woods and raised himself. His injured hands healed into duck-like webs, and he ate whatever he could find. The Webber was born deformed with webbed hands and webbed feet, and lived in isolation near Pasadena with his unwed mother, who was embarrassed by his appearance. He was feral and lived outside, and when his mother passed on he continued to live in the woods. He was said to feed on the children who attended the camp built on his mother’s land. A man and woman in their 50s found out they were going to be first-time parents. Unlike most newborns The Webber Baby was grotesquely deformed, with webbed hands and feet, an unusually large head, and long claw like fingernails They decided to raise him at home and keep him inside at all times, so no one could make fun of him. As grew, he was unusually strong and too hard for them to handle. They decided to bring him to Carbonear to a home for people who needed special care. They put him in the car and headed away from home. Later that night on the Heart's Content Barrens, their car was found flipped over in the woods. The couple was torn up and dead, and the roof was slashed apart as if by a wild animal. 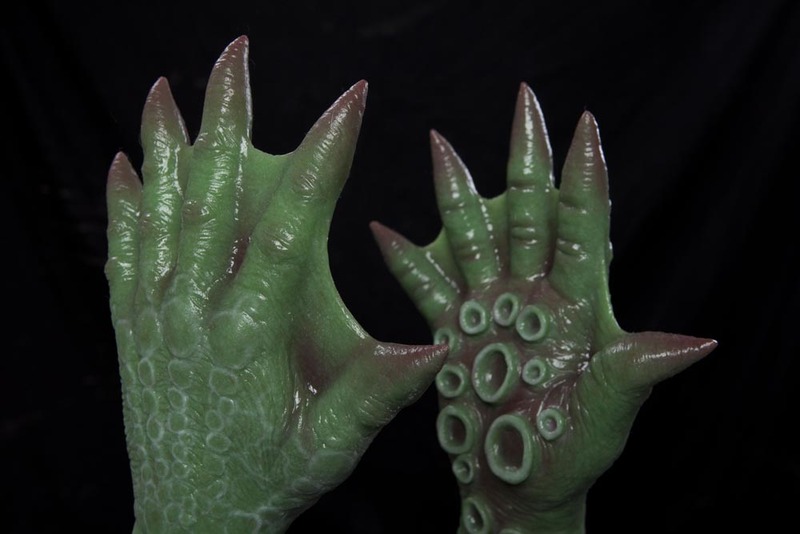 PS: Want a pair of those sweet, sweet Deep Spawn silicone gloves shown above? They can be yours for only $569.95 and are perfect for terrorizing sleep-deprived campers. Start rolling your nickels and dimes, kids. I was told another version of a guy and girl making out in the back seat when they heard drops falling on their roof. When the boyfriend went out to look a person was hanging upside down from a tree with blood dripping. This was a big one at West Haven Camp, near Pasadena, when I was a kid, I thought the story was that a camper got lost in the woods or something. There was even a part of the camp trail network that people called the Webber Trail. I think eventually the story got banned because kids were scared, but in the early to mid 90s this one was a big part of camp at West Haven.